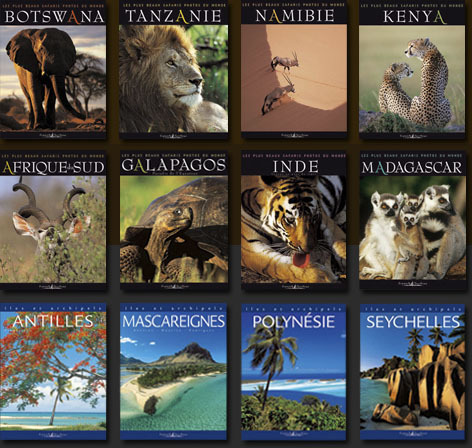 "Discovering the most beautiful natural sites on our planet"
This geo-photographic collection of guides is for nature lovers and adventurers and will enable you to discover animals who are within everyone's the reach. In addition to providing you with information on how to make your trip a success, these guides will also provide you with lots of advice on how to photograph and respect nature in the best possible ways. 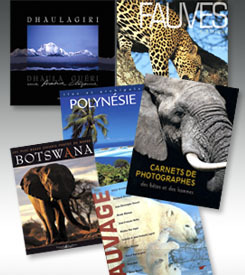 To order our guides please click on the book cover of your choice and you will be direct to the Empreinte & Territoires website.